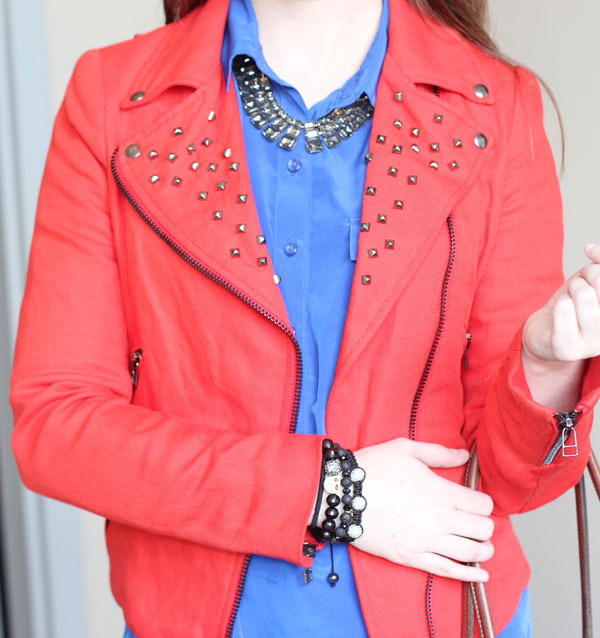 As I was browsing my closet last night and deciding what to wear, I decided I really wanted to wear my Zara blood orange moto jacket that I've only worn a handful of times. In the past I've worn it with basic colors like white black and grey, but I knew when I bought the jacket that it had potential to be worn with many other colors. 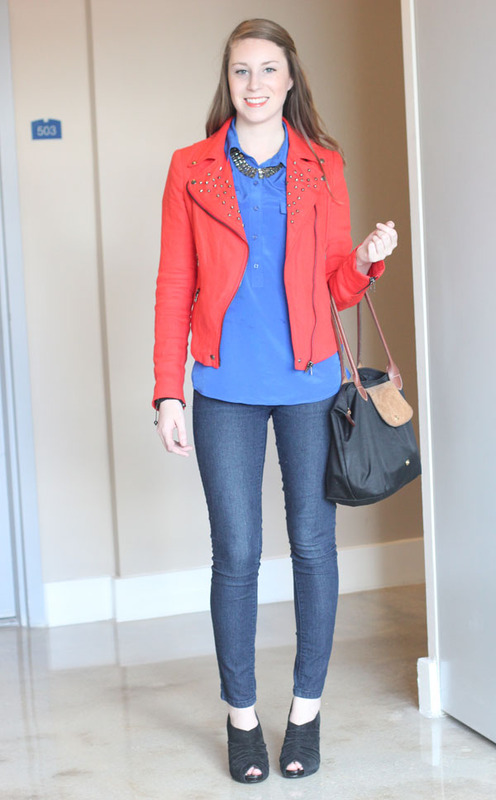 After a quick consultation with an online "color wheel" I decided to match this orangy-red colored jacket with a cobalt blue based on the color theory of complimentary colors. Complimentary colors appear across from one another on the wheel. One of my other favorite pairs for colors is purple and yellow - another complimentary combination. My biggest fan of the blog (BF) met a girl the other night that recently started her own jewelry line - he ended up buying some bracelets for me and although sometimes I question his taste, these were right up my alley. The bead bracelets I'm wearing below (not the woven one) are from "Brace URself." 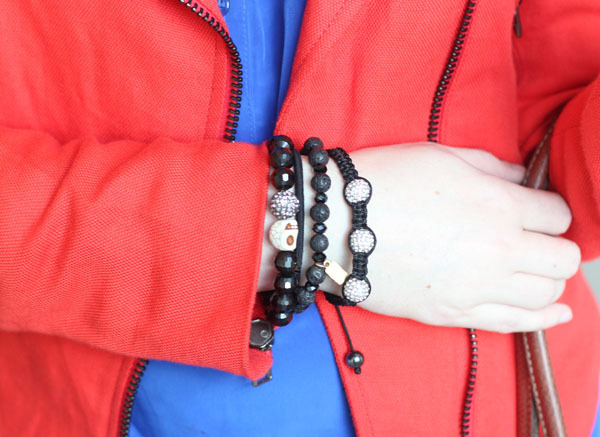 All of the bracelets are so on-trend and have beautiful beads. Plus, they are made with a durable stretchy string to make sure they fit all wrist sizes, and they are perfect for stacking and wearing together. The Brace URself website is currently under construction (www.braceurself.net) but you can check out a bunch of pictures of the bracelets there. 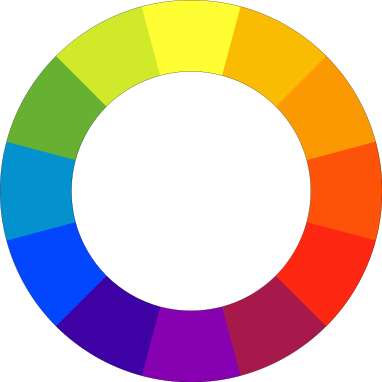 I love the idea of using the color wheel. I'm still getting used to wearing color a lot, so having a few "rules" to help out is great. I love that jacket on you. Getting a moto jacket (in a more neutral color since it'll be my first haha) is definitely on my list! cute jacket. I used blue and red in my last post too. I love the colour combination. Orange and blue go great together!